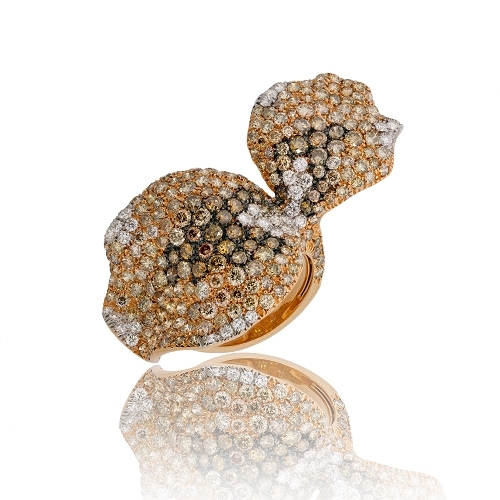 Champagne & white diamonds all encrusted in this two finger double leaf ring of 18k rose gold. Diamonds approx. 6.05ct. Ring size 6.75.